When one thinks about the beautiful country of Jamaica, they think of its extraordinary offerings. White sandy beaches, hikes to breathtaking waterfalls, and sunsets that are so astonishing you wonder if you will ever see a similar one again. A fact that is often over looked however, is how much influence Jamaican music has had on the world! Reggae music dates back to the 1600’s and is at the core of Jamaican culture. As a result, the country is home to some of the greatest music festivals in the world. To help you choose where to get your groove on, we have compiled a list for you of the Top 5 Music Festivals in Jamaica in 2019! 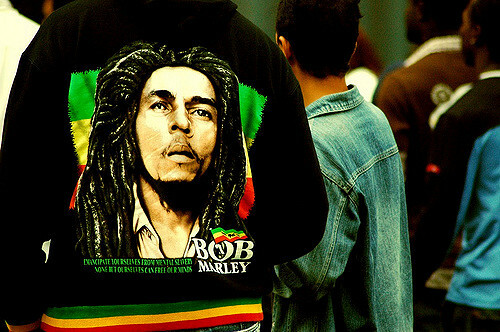 Every February in Jamaica, Negril comes alive for a 5-day music festival in honour of the great Bob Marley! Taking place from February 1-6, this festival is filled with drumming, Jamaican food, Junkanoo dancers and other reggae acts! Each day is filled with endless festivities, including a competition to find the best Bob Marley impersonator! Sit back, have a drink, and enjoy all that Bob Marley’s Birthday Bash has to offer. Who doesn’t love reggae music!? One of the world’s best reggae music festivals takes place in St. Ann, Jamaica every February! This family friendly event delivers a one of a kind experience that weaves together authentic roots reggae music with the best of Jamaican culture! Overlooking the Caribbean sea, the festival has artists performing from dusk to dawn. Local farmers markets open within the grounds for your viewing pleasure, and there are also various Jamaican food vendors on site so attendees can keep themselves fueled throughout the day! Reggae Sumfest is an event held in Montego Bay each year, that is by far the largest music festival in Jamaica – one of the reasons why it made it onto our top 5. 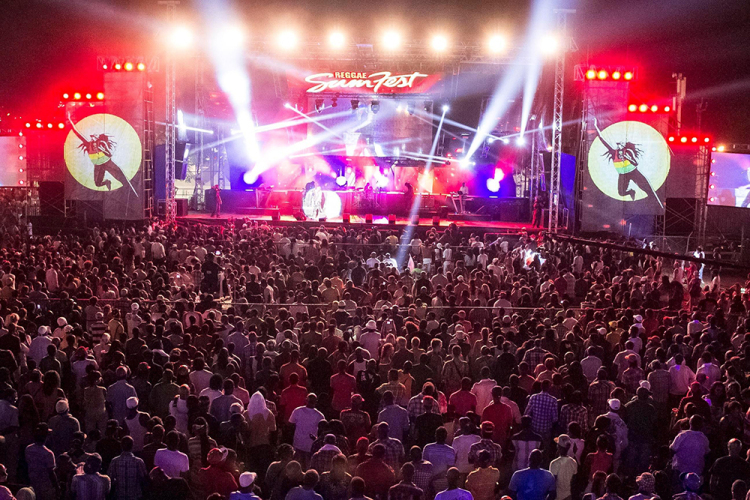 The festival itself is known for electrifying performances from local and international reggae acts. Having recently celebrated its 25th anniversary, this music festival is not only revered for its wonderful musical acts, but also for its laid back and compelling energy that brings people back year after year! Dream Weekend is another must-attend event in Jamaica! This international music festival takes place each year in Negril over 7 days. This year, Dream Weekend will be celebrating its 10th anniversary, and it promises party goers an unforgettable experience. Whether you are listening to live performances by artists and DJ’s or enjoying some drinks in the sun, this is one weekend that you do not want to miss out on! The Ocho Rios Jazz Festival is a world-renowned music event held annually in, you guessed it, Ocho Rios! Each year the Jazz Festival gives audiences spectacular performances from the very the best artists in the Caribbean. In fact, people say that you can feast your eyes on some of the greatest saxophone and trumpet players in the world! It is well worth booking your holiday in advance to ensure you can experience the smooth sounds of this unique festival. We hope you enjoyed our blog on ‘The Top 5 Music Festivals in Jamaica in 2019’. If you have visited a Couples Resort in Jamaica and have something to add to the list, make sure to tweet us @couplesuk and let us know!